Hahaz! Yes I did it again! 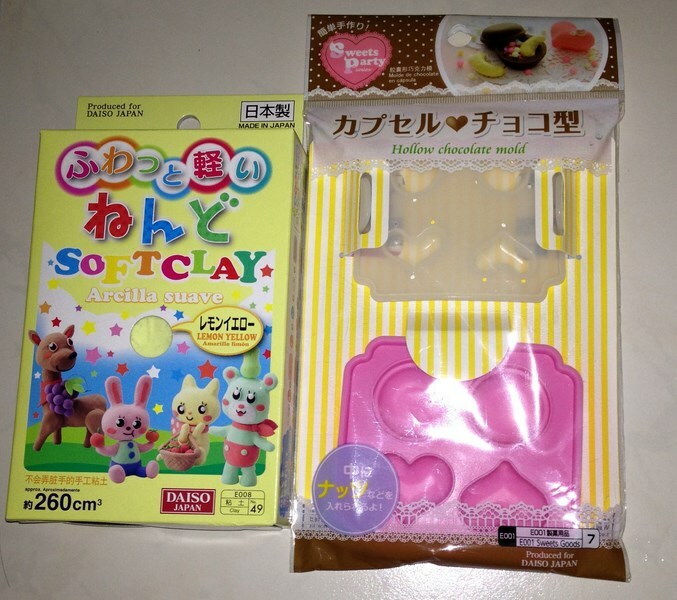 Despite the numerous failure attempts I had months ago at making sweets using soft clay from Daiso. I’ve decided to take up that challenge again. Got myself more clay and also an extra plastic mould. Speaking if, I think I can also loan from my sister, the plastic mould that she had bought from Books Kinokuniya Stationery dept last week too. Wonder how I will fare this time? Or will I give up again? Going window shopping at Daiso during break time or after work is becoming a habit of mine. Not only am I captivated by the S$2 per item price, but also because I’m able to find fascinating things for sale there. So when I popped in after work today and saw a row of puzzle books. I can’t helped but grabbed a copy for myself off the shelf. The puzzle is known as nonograms, also known as Hanjie, Paint by Numbers, shady puzzle, or Griddlers, are picture logic puzzles in which cells in a grid have to be colored or left blank according to numbers given at the side of the grid to reveal a hidden picture. I first got to know about it from My Paper, a free SPH publication. A new puzzle will be published every thursday and the answers published on friday. Am so glad to have gotten a book of the puzzle to play. Am very into craft recently and been to many places searching for and buying art materials. Art Friends and Golden Dragon are the two most popular places recommended to me by my friends. 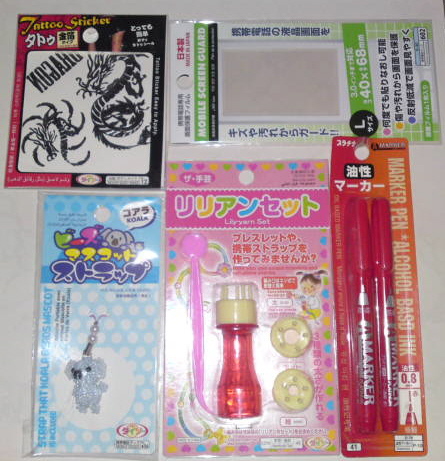 But recently, I tend to find small treasures of such at our local Daiso stores too. I took out the helping kit from the set and also a set of the button materials. For this trial, I decided to use stickers instead of the usual cloth material. And the above is the sticker that I’ve decided how my first DIY button shall look like. And I also prepared a clear plastic sheet as an extra protection for my soon to be accomplished button. Firstly, I need to assemble the materials and place them in the following order: plastic sheet, sticker, then lastly, top part of button. Using the blue cover, I will need to push it down, till it hits the base of the white tool. After that, trim away the excess and fold down the flaps onto the top button part. Part one is thus completed. Now I shall moved on to the final step. Finally, place the bottom part of the button into the white tool and pushed it down using the blue cover. The blue cover is to aid the pressing down of the lid without hurting your hand. All I have to do now is to push my self-made button out from the white tool and it is then finally done. Pretty easy, isn’t it? Am now looking for more pictures to make other button. Am so gonna make more and sew them all onto my sling bag. Knowing that I always tend to overspent at Daiso, I only bring S$10 with me whenever I pop by to give myself a little treat there. Had a hard time deciding what to buy. And after struggling for some time, I’ve decided on these 5 items.